This Han Ding Double Butterfly Knives is currently the highest quality butterfly knives that we carry by far! 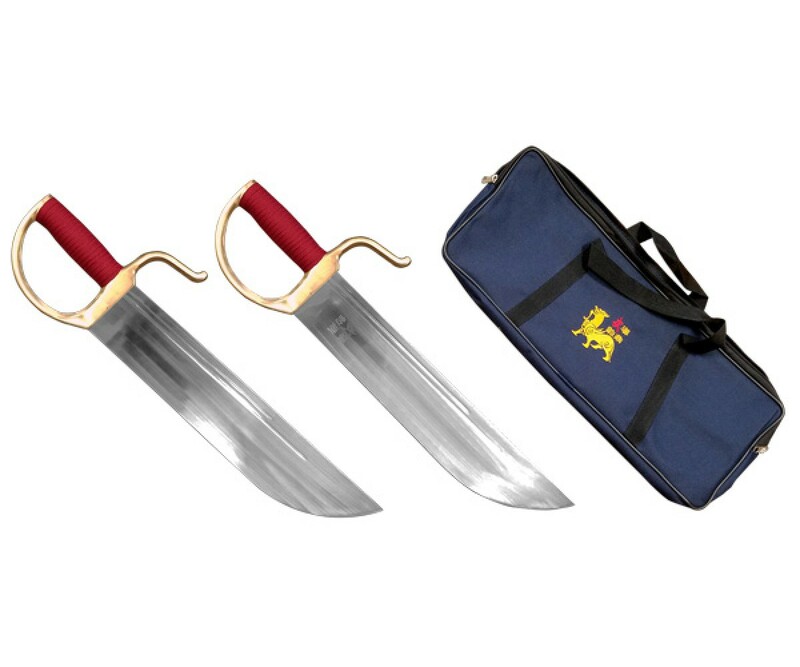 Built with premium 1/8” thick Hight Carbon Steel (able to be sharpened) and cast-brass handles and hand guard, the weight of the sword is on the heavier side and well-balanced, making it a perfect choice for traditional Wing Chun/Kung Fu practitioners. 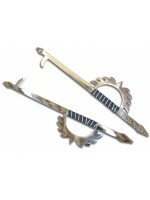 The swords come with cloth grips for comfort. 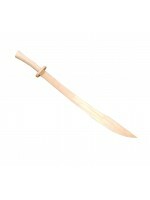 Towards the ridge of the sword, there are two thin grooves for decoration. 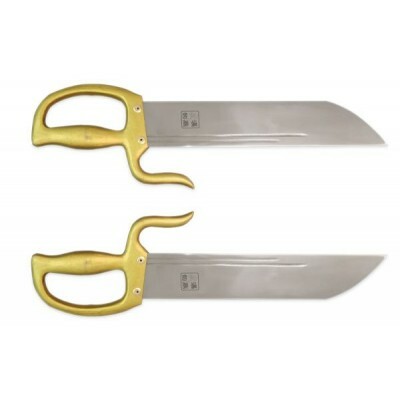 If you are thinking of collecting or practicing with high quality weapons, the Han Ding Double Butterfly Knives is the best choice in its category. This weapon comes with a high-quality carrying case. Case is included for free and not eligible for exchange or return. 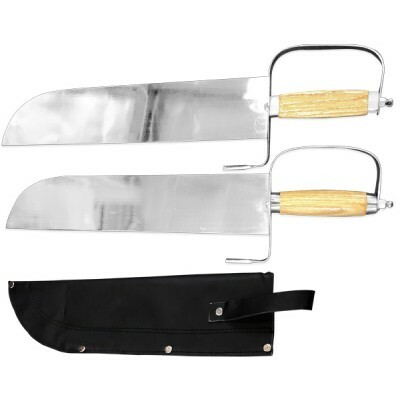 TDS218 -Wing Chun Kid's Sword ( Butterfly Knives) These butterfly knives are just like our Han ..